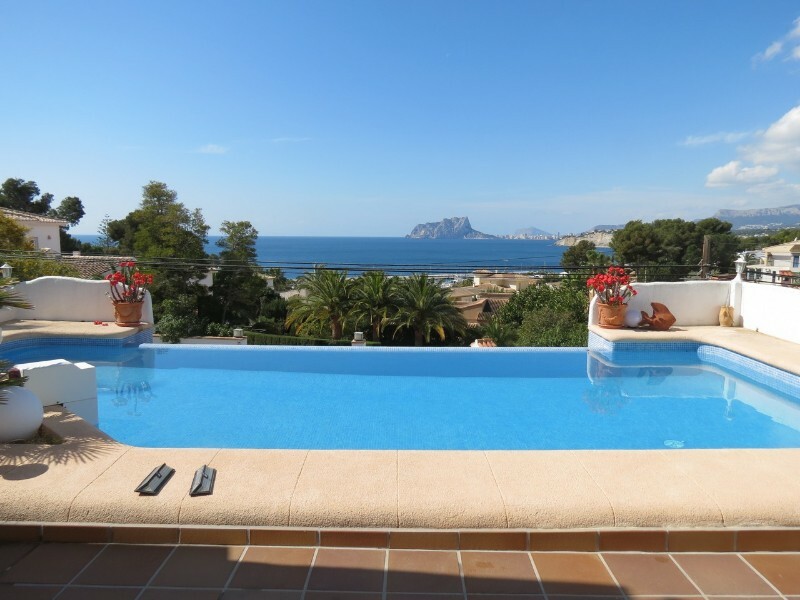 Spacious, furnished, villa located in Sabatera, 300m to the Tabaira shopping centre or 1.6km to the town and beaches of Moraira. 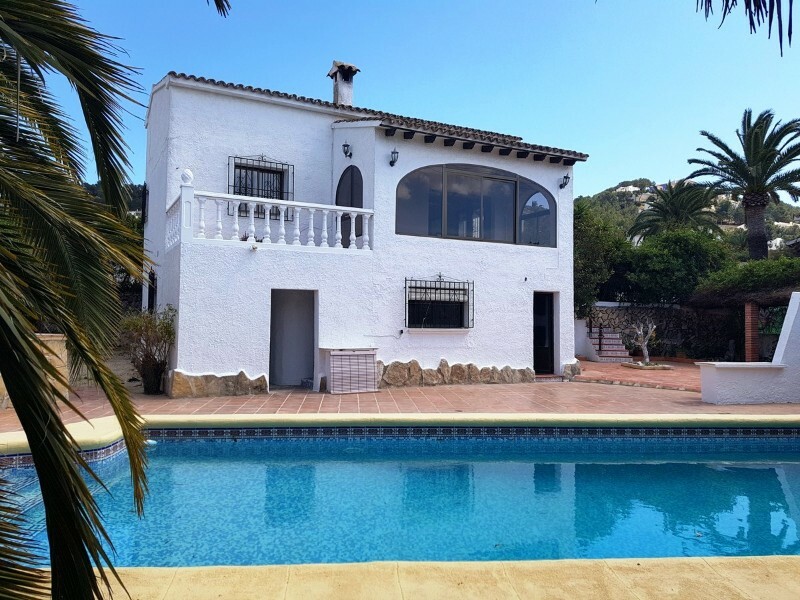 This property is located on a larger than average plot, with gated parking for two cars, a car port, several terraces and an easy maintenance, auto irrigated, mature garden. The villa consists of a large living/dining room with fireplace and glazed doors out to a terrace with sun all day, kitchen/breakfast room with glazed doors out to a small terrace, four double bedrooms, three bathrooms, one of which is en-suite, utility room, a large storage area in the under-build and also a covered storage area for wood. There is a large pool terrace with a heated 10 x 4.5m pool and a pool shower.- Key points:- Built: 1984- Renovated in 2008- Villa all on one level and just a few steps down to the pool terrace- Offered fully furnished- Beautiful garden with lemon, orange and mandarin trees- Double glazed windows with mosquiteras- Air conditioning in main bedroom- Fireplace with woodburner in the living room- Satellite television available- ADSL available- 10 x 4.5m heated pool with cover- Three external storage cupboards- Proven rental historyThis is just one of the many Spanish properties that we have to offer on the Costa Blanca in the Alicante province. If you are looking for an apartment, townhouse, villa, new build villa, country house or a plot to build your own property, we have them all, and we also offer a property finder service to help you find the property that is perfect for you. If you cannot find what you are looking for on our website please contact us with your criteria and your budget and we will do our very best to assist you.